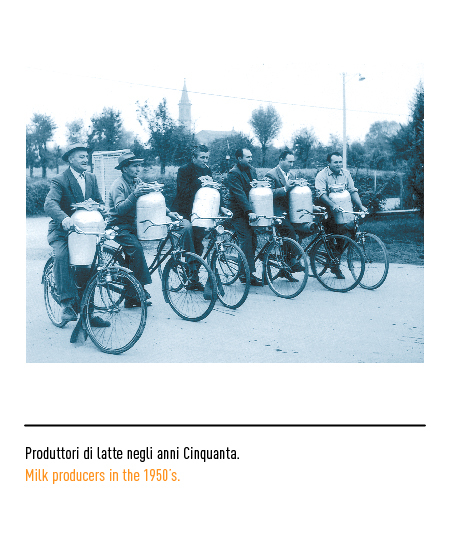 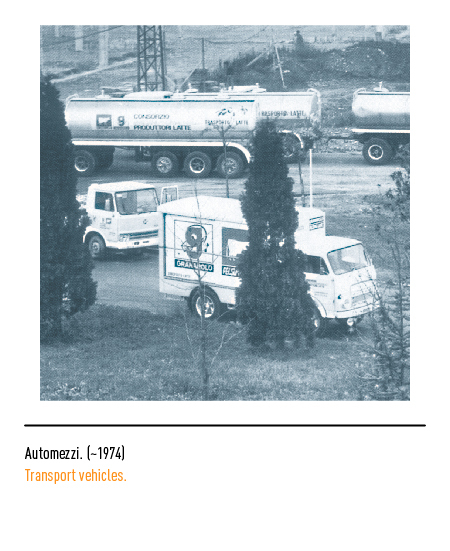 The early fifties in Emilia-Romagna was the heyday of dairy co-ops. 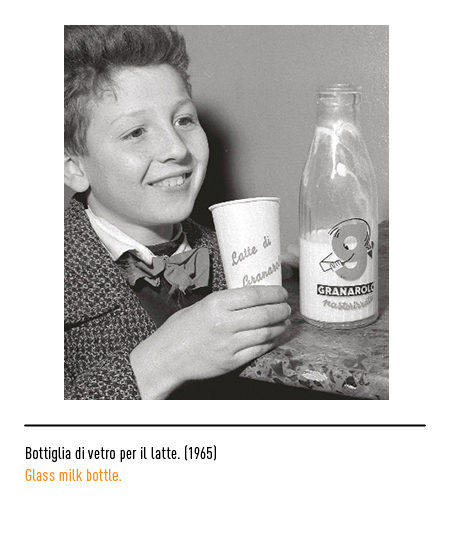 Sentiments raged high, for they were established by farmers to collect their milk mostly so as to cut out the middle-man. 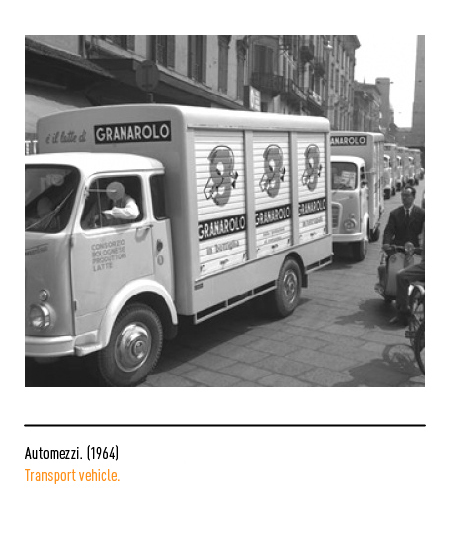 1958 at Granarolo dell'Emilia not far from Bologna saw the birth of the "Consorzio bolognese produttori latte", soon after re-named "il caseificio di Granarolo", and finally simply "Granarolo". 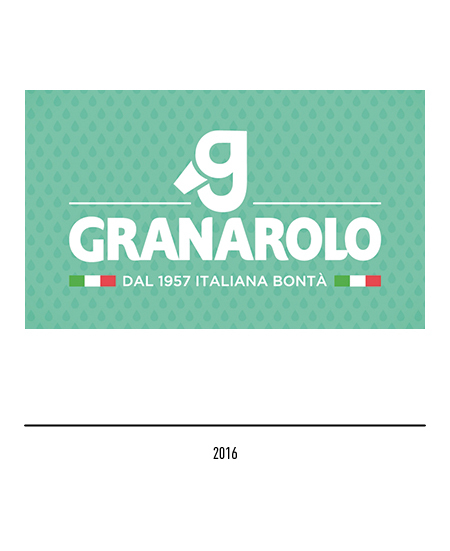 Its first trade-mark in 1964 portrayed the letter "g" embellished by the hair-do and quaint plaits of a little girl drinking a glass of milk. 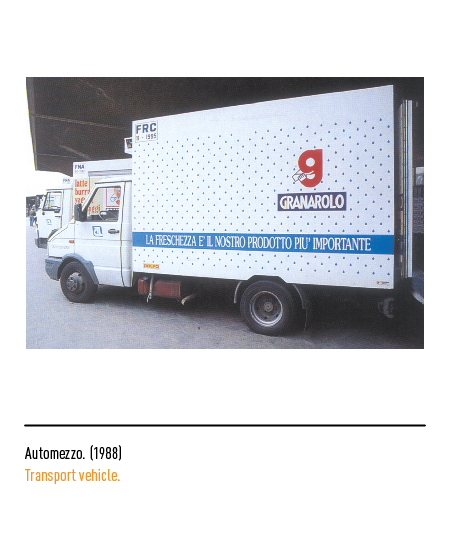 The logotype was enclosed within a blue rectangle. 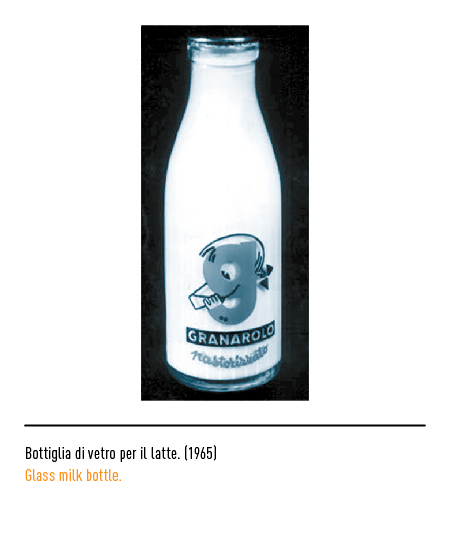 This trade-mark was printed on a label affixed to the bottles in which the milk was sold, a novelty at the time as milk was still mostly sold loose, as well as on space-saving triangular cartons. 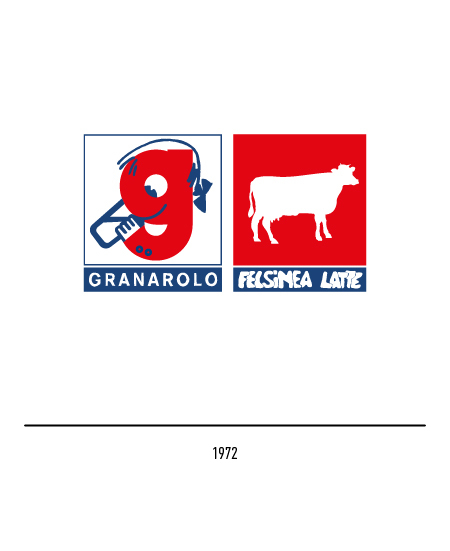 Another co-op was set up in 1970 called "Felsinea Latte" with a trade-mark portraying a white cow against a red background. 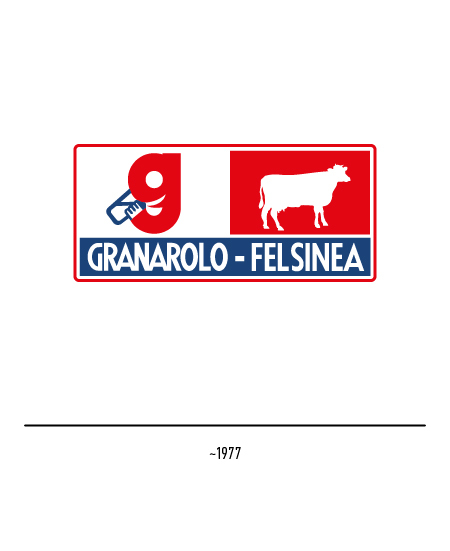 In 1972 the two co-ops merged to form the "Granarolo Felsinea" consortium. 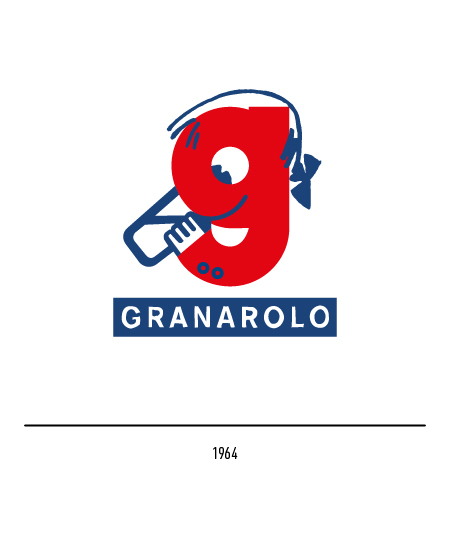 The two trade-marks were initially displayed severely but then they also were merged and in this version the gestural traits of the letter "g" were dropped. 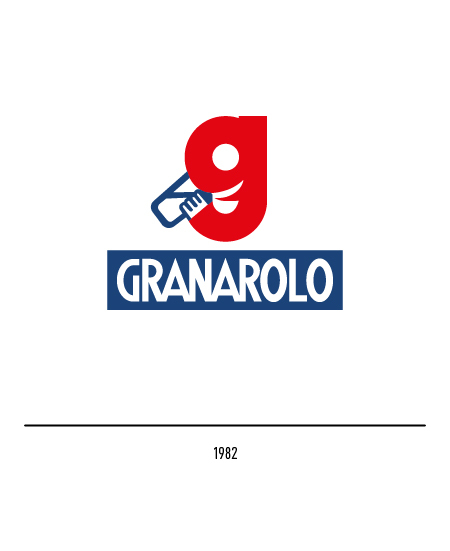 In 1982 the united consortium decided to adopt only the Granarolo trade-mark and then in 1989 the logo-type was set in the positive with Gill-style lettering. 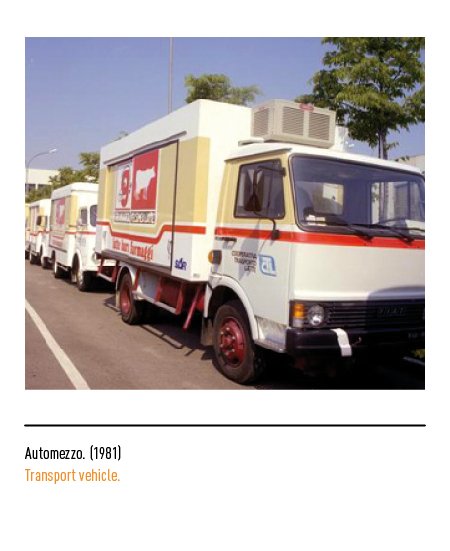 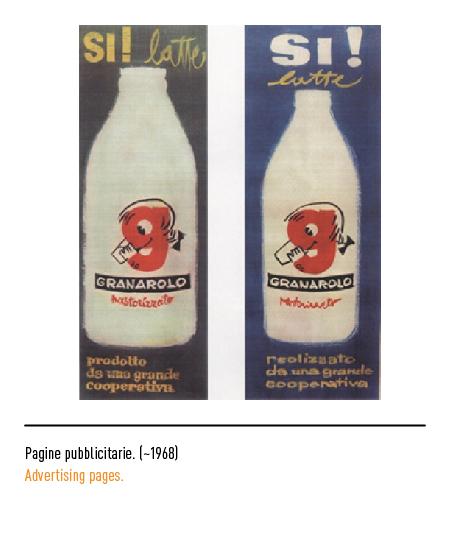 Those were also the years of the co-ops modernisation and growth, and in 1991 it became the first company in Italy to market "high quality" milk. 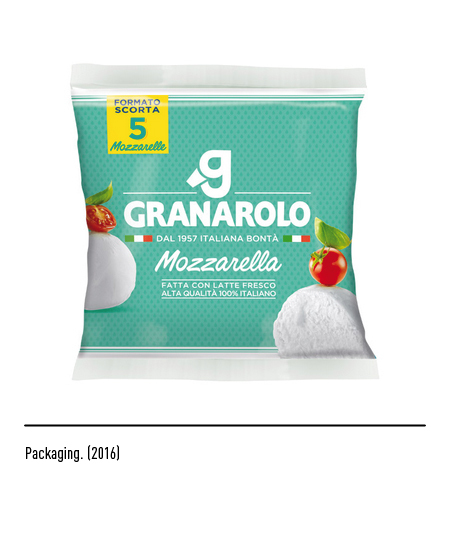 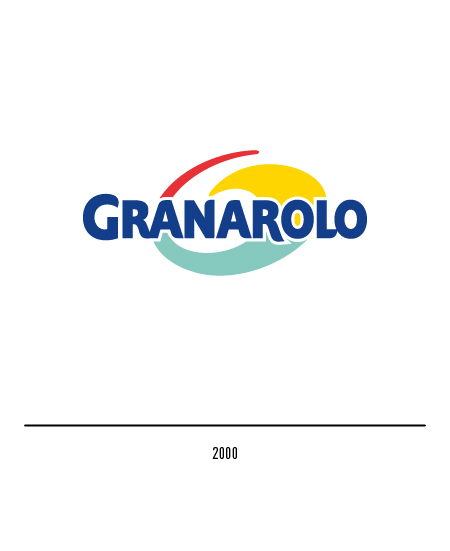 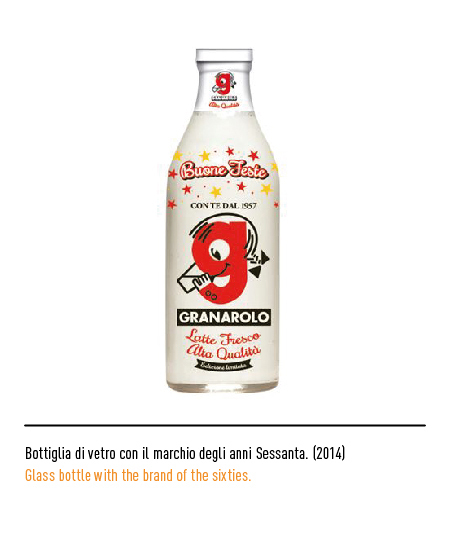 In 2000 with the company's official name changed from "Granarolo Felsinea" to "Granarolo" Landor Associates were commissioned to restyle the trade-mark. 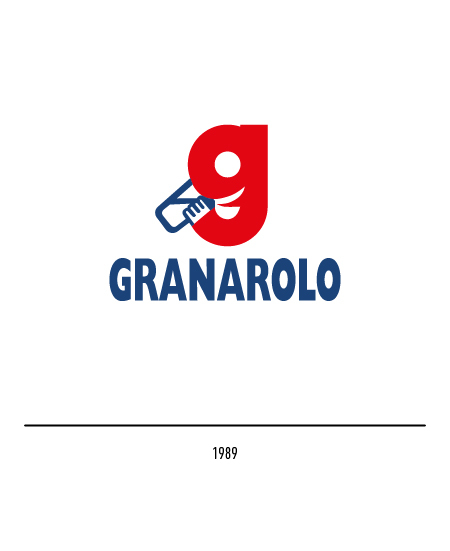 It now sports a dynamic and colourful spiral sign that expresses vitality in which is also set the traditional blue logotype, while the preceding trade-mark has been purposefully retained to be now used as a seal of warranty. 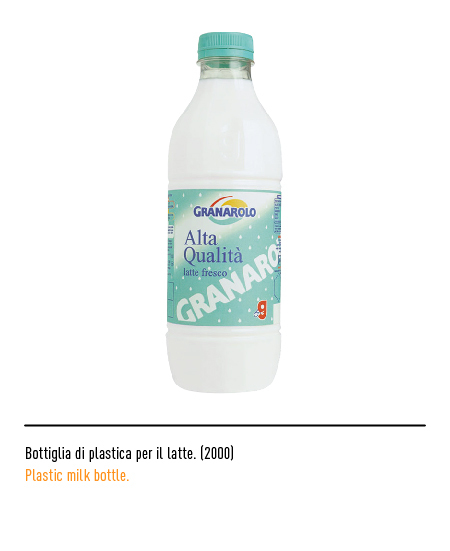 “Qualità fresco”, bimestrale di informazione agroalimentare, Edicoop, Bologna, n. 2, anno IV, 1992.